Beautiful traditional (Real Rosewood) wall unit and separate matching entertainment center. This furniture is extremely high quality and made out of very rare Rosewood. 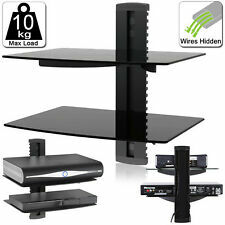 Did you lose your original TV base when you wall mounted and need a new base now?. 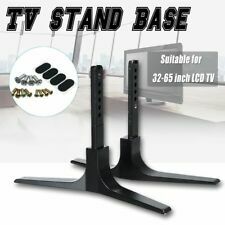 Impact Mounts universal TV pedestal is the ideal stand for your flat panel TV. It easily connects to the bolt holes behind your TV for a durable and sleek table top installation. Trending at C $26.84eBay determines this price through a machine-learned model of the product's sale prices within the last 90 days. White High Gloss Modern TV Stand Unit Media Entertainment Center "Lima V2"
High Gloss Modern TV Stand Unit Media Entertainment Center "Flow"
BRAND NEW UNIT! CLEVER DESIGN UNBEATABLE PRICE! 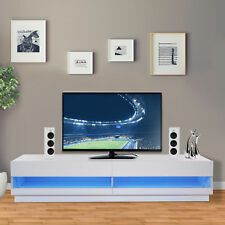 Black High Gloss Modern TV Stand Unit Media Entertainment Center "Granada"
White High Gloss Modern TV Stand Unit Media Entertainment Center "Movie"
Keeping yourself entertained isn't just about having a nice TV. Media mavens need spots to stash video game systems, DVDs and Blu-rays, remote controls, and video games. An entertainment unit combines all of those pieces into one handy and streamlined centre that offers up media at your fingertips, and keeps consoles and systems nice and neat. From small stands that save space, to large units with multiple drawers and shelves, media centres are a must for reducing clutter and creating a beautiful TV and movie-watching station that's a pleasure to use. 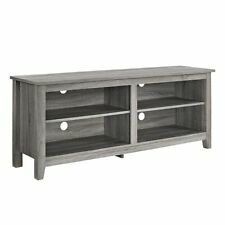 Simple and stylish, TV stands are smaller than a traditional media centre, but offer up just enough room for a TV, DVD or Blu-ray player, and possibly a gaming console or two. Usually available with a combination of cabinets and shelves, stands come in different heights to fit into your home perfectly. Made of wood or glass, TV stands look like a pretty table with perks. When you don't need all the bells and whistles of a larger unit, an adjustable, versatile stand comes in handy. The largest type of media centre is the wall unit. Typically, these oversized designs take up most of the all, and hold all of your media needs as well as movies and games. 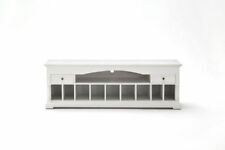 Made with additional shelves on the side or underneath, these styles have plenty of space available. 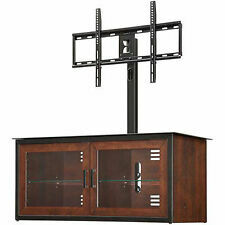 Select styles made especially for wall mounted sets, or for more traditional TVs that need a shelf to stand on. From modern chrome and glass designs to rustic wooden options, a wall unit complements your other furniture to create an overall aesthetic that reflects your style personality. Keep gaming supplies under control and eliminate looking for lost remotes. Some options have enough space to add some accents, too, like favourite framed photos or other knick knacks. 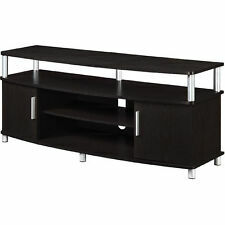 The best of both worlds, a media console table is the best compromise between a stand and a wall unit. 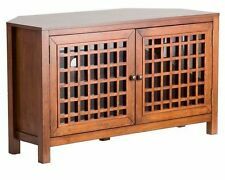 Roughly the size of a coffee table, a media console usually has drawers and cabinets but doesn't require as much space as a wall unit. Purchase a contemporary floating design to complement a wall mounted set, or opt for a sideboard-style unit with stylish sliding doors. Shabby chic designs with barn doors go great with country décor, while a more modern glass designs offer a sophisticated silhouette. Place a soundbar or speaker system on shelves to create a home movie theater system, or line the shelves with your favourite games and movies.